Time to Celebrate – Make Some Noise! 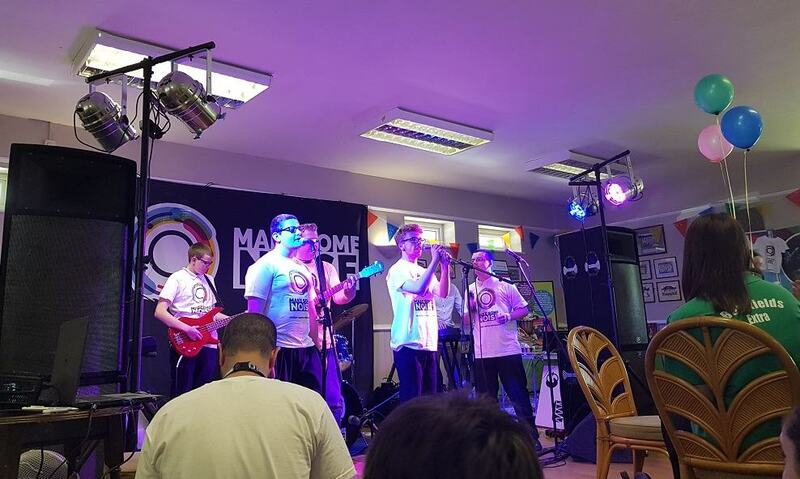 Last week I had a rare day out of the office to attend the 15th birthday party of client Make Some Noise, a charity using music for positive change. I’ve worked with the Make Some Noise team long enough now to know what they do, where they work and who they work with. Over this time I’ve met most of their staff too, so while its always lovely to be invited to a party and catch up with familiar faces, I saw the day as an opportunity for me to fulfil our Fundraising Central pledge of volunteering for each client for one day each year. The day turned out to be so much more than that. I returned from the party with a head full of memories and snapshots, like the sheer joy on the faces of toddlers taking part in a Soundpots music and movement session, and the heartbreaking lyrics of a song written by children in forces families as part of the Create Connect project. I was lucky to have some time with sixth formers from Two Rivers Secondary Special School in Tamworth who had come to join the party and perform. While they wouldn’t disclose their song choices in advance (top secret, hints of Miley Cyrus and Ed Sheeran) they did tell me they were excited and a little bit nervous about their performance. Why do we need to monitor and evaluate? Last year, we launched Client Voice, a new service offering consultation, research and evaluation support to third sector organisations. One of the questions we’re most frequently asked is: What’s the difference between monitoring and evaluation and why do we need to do it? Monitoring involves the routine collection of data against specific criteria or outcomes. Most organisations record basic information such as numbers of referrals, demographics etc to help them profile their service users and beneficiaries. 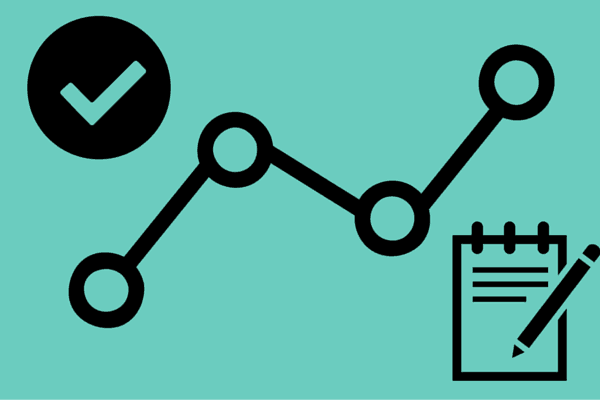 Funders nearly always require reports and monitoring data forms the basis of these. In many cases the outcomes are agreed between you and the funder at the start of your grant and monitoring focuses on progress made towards achieving these outcomes. The various stages working towards achieving the outcomes are milestones, or indicators, and these usually have timescales attached. reporting to funders (current and potential) about the impact of your project, what you’ve learned along the way and how you’ve adapted it to changing circumstances. Funders (especially larger ones like Big Lottery) now require an evaluation at application stage, particularly for continuation funding or where funding is requested for an existing project. A picture can tell a thousand words… Taking good photos can speak volumes about the work you do and bring your project to life. Photos of a project in progress, people engaging with your service and smiling after a positive experience can bring so much value. Here are a few snappy tips to make the most of those photo opportunities. 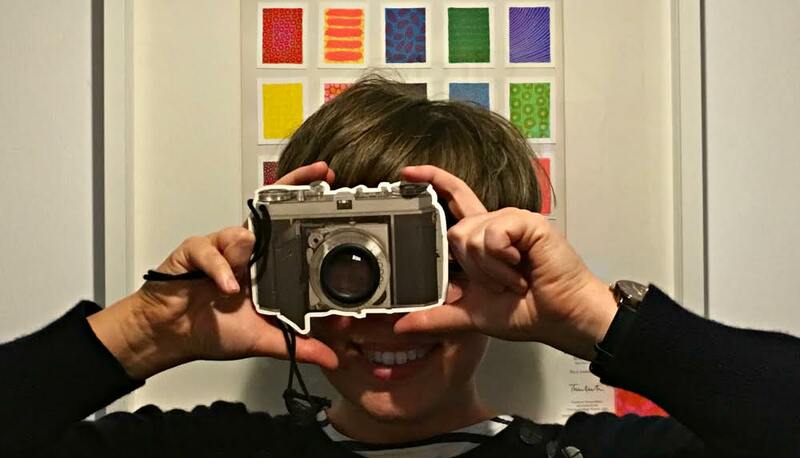 What images will tell your organisation’s story and make it shine? Think about images that will showcase what you do and trigger emotions in the viewer. Take a moment to think about any opportunities over the next six months and include photography into your plan. Often photography is an afterthought when it is too late to capture those unique moments. Images needn’t be posed, ‘set-up’ or Instagram perfect – in fact, documentary-style photography can be very powerful. Take detailed shots of people in action. You’re more likely to get a natural emotional connection with your audience. Remember to take lots of photographs as projects develop. If you have an event coming up, designate responsibility to someone in your team who has a natural flair for taking photos. These will prove to be valuable as a resource in future, whether you are including them in a report, on your website or posting on social media. Genuine photos showing real impact and engagement of your project will be so much more powerful for your case than any stock images found on the internet. You don’t necessarily need a fancy camera to get good photos – a smart phone will often do the job. Just ensure that you get bright, clear images that are in focus. We’ve recently undertaken an evaluation of a project which relies heavily on the support of volunteers. Every volunteer we spoke to without exception said that they thoroughly enjoyed their role and many of them had been with the charity for over 5 years. As it’s Volunteers’ Week we thought it might be useful to share some of their feedback on what makes this organisation so great when it comes to volunteers! We can’t emphasis this enough, it came up time and time again in conversation with volunteers. They were all clear what they were being asked to do and how much was expected of them. They said the volunteer co-ordinator was always on hand to answer any questions but gave them enough space to complete the tasks they were given. We all know that some of the roles we ask volunteers to do are, frankly, boring! They acknowledged this too but said that if they could see how their work supported the bigger picture they were much more likely to feel important, valued and to take pride in their contribution. If you have taken the time to understand the individual circumstances of your volunteers, including their strengths and what they hope to gain from the experience, then you are in a good position to be able to provide progression opportunities to help them achieve their goals. It’s often difficult to take a step back from the day-to-day grind and objectively assess any skills that might need brushing up within your organisation. Perhaps it’s time to look at your fundraising skills with fresh eyes? Maybe you’re thinking of introducing digital communication and don’t know where to start? Or maybe your fundraising strategy needs an update and you’d like to learn how to sharpen your strategy-making skills? Here’s where Fundraising Central can step in to help you! We can work with you to help you identify the specific training needs of your organisation, advise on best-practice and develop a bespoke training package. We have an objective viewpoint and benefit from working with lots of organisations. We can advise on training areas that could be delivered to make a real positive impact in your organisation – no fuss, no time-wasting. Get in touch to discuss – we’d love to hear from you! Does your organisation hold an email list or a service-user contact list? If you hold any data lists within your organisation then you need to be aware that data protection regulation is changing. 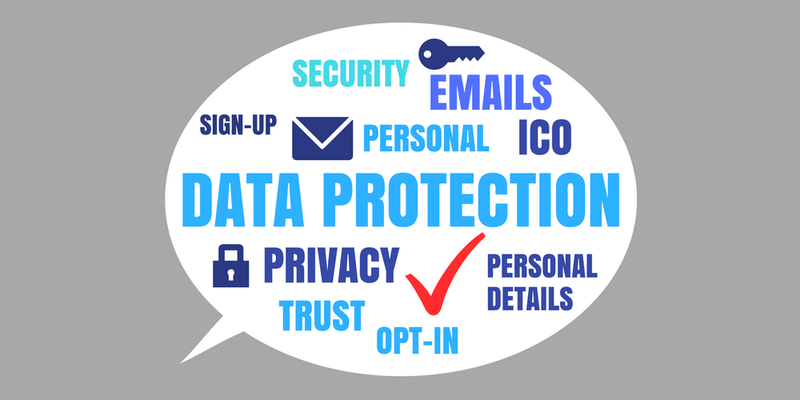 On 25 May 2018 new data protection guidelines are being introduced by the Information Commissioner’s Office (ICO) – the General Data Protection Regulation (GDPR) will replace the Data Protection Act. As these guidelines are rolled out, the public will be increasingly aware of how their data is being held and used by organisations, so charities large and small need to be prepared. Understandably, smaller charities often have no data protection officer role within their organisation, so responsibility for monitoring data protection is not clearly defined and it is hard to stay up to date. A good place to start is to ensure that a staff member is trained in the latest data protection law and given responsibility for keeping abreast of any changes. Make sure that key people in your organisation are aware that data protection law is changing. Identify areas that could cause compliance problems. Avoid leaving this until the last minute, as these changes may take time to implement. You need to document what personal data you hold, including where it came from and who you share it with. Organise an information audit. You’ll need to show how you comply with the data protection principles – what policies and procedures you have in place. It’s that time of year again! Charities Aid Foundation (CAF) have released their latest report ‘UK Giving’ which provides an overview of Charitable Giving during 2016. This year’s research is the most thorough and comprehensive yet as the sample size has been doubled – and there are plans to double the sample size again for the next report. 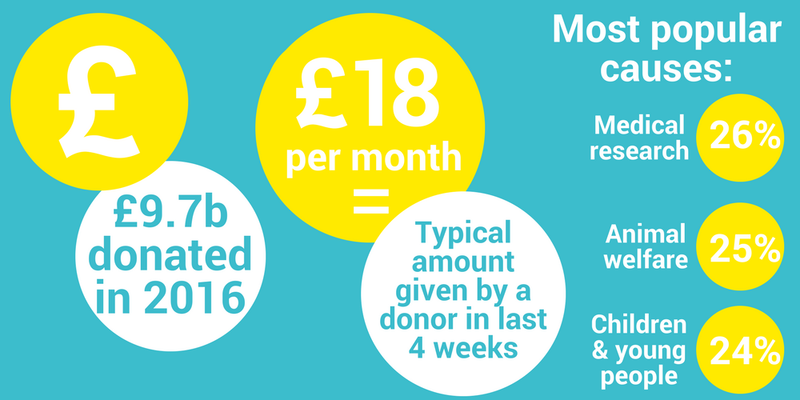 Donating money remains the main way in which people engage with charity – 61% having done so in the last year. Donations peaked in November when 41% said they had donated in the last four weeks (coinciding with Children in Need, the Poppy Appeal, and Movember). 50% of Brits thought charities were trustworthy in 2016 – with women and young people most likely to trust them. Older people and women are the most likely to engage in charitable or social activities. Geographically, those in Wales (92%), Ulster (91%), the South West (90%) and the East Midlands (90%) are the most likely to have done any of the charitable or social actions. The majority of people usually give to charity from time-to-time (51%), with a further quarter (25%) giving monthly. The number giving monthly has decreased since 2015, from 31%, whilst the number giving on a more ad hoc basis has increased from 41%. How much do people give? The capacity of the sector to embrace digital varies and for those who are not embracing it there is a risk of ‘organisational stagnation and decay’. Some charities will experience direct impact, such as loss of EU funding streams or difficulty retaining EU staff. Others are likely to be affected by changes to UK regulation and economic consequences. With Brexit consuming policy attention, other issues may be harder to campaign on. Ensuring their issues are on the agenda will be a key concern for smaller charities – effective relationships with local MPs and councillors will be vital. The economy may be subject to significant change, depending on whether the UK secures a new (permanent or interim) trade deal with the EU. 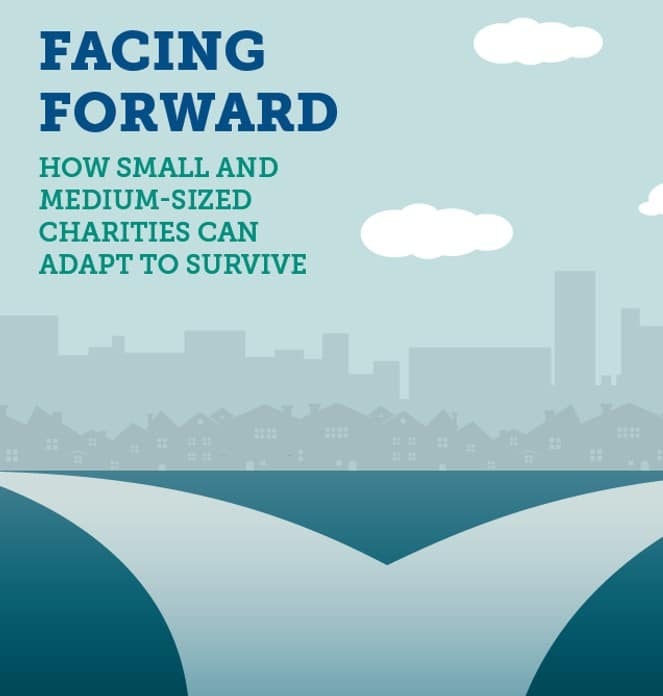 Smaller charities need a Plan B in case of worsening economic outlook. Smaller charities will need to fight hard to have a seat at the table and be involved in discussions about the future of local services if those they serve are not to be left behind. Facing further cuts, many public services will be put under significant additional pressure. Smaller charities will have a key role to play in raising the voices of communities to ensure support for the services they need.